January | 2012 | Mochi Woof! One of my most important places at home! Today we must discuss something very, very important: my food bowl. 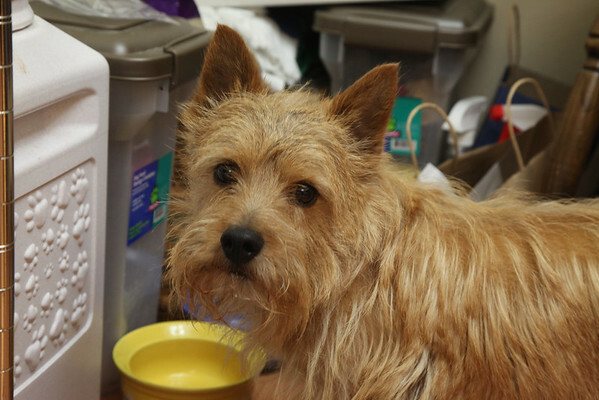 It is, without a doubt, one of the most important places in my home…and elsewhere–but my travel bowl is definitely another topic for another time. 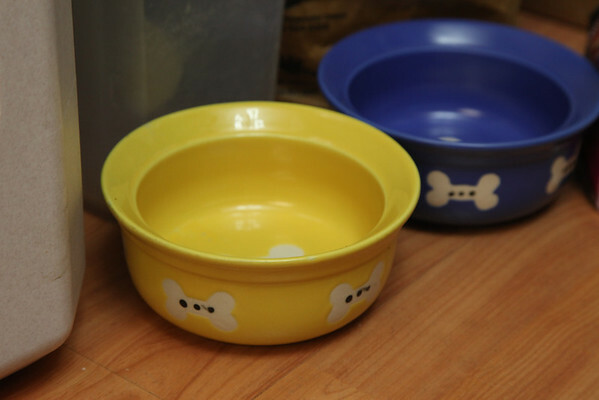 See that pretty yellow bowl with bones on it? That’s where my food appears! 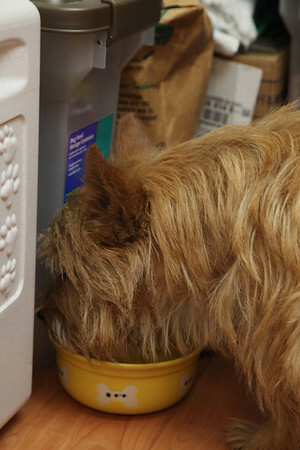 Mealtime is one of the most important moments in each day. I get breakfast and dinner, and it never seems to be enough. please, please, please may I have some more? 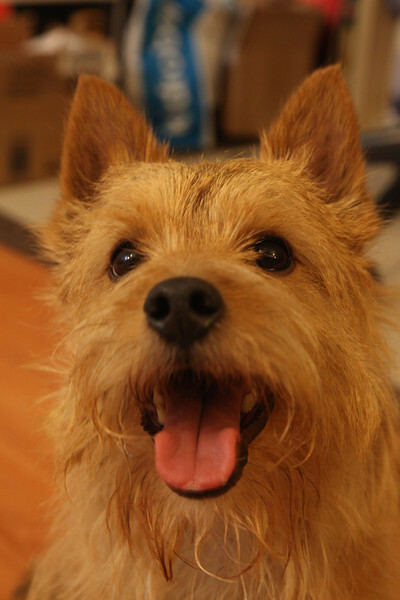 So today when I was on my afternoon walk, I ran into an eight-month terrier mix puppy named Lola. She and I have met before since we both live in the same neighborhood, but today we got to play some. It was a lot of fun. When I came home, I was all smiles because of it. What’s that you say? You can see the happiness shining in my eyes, but my nose isn’t in focus? How about this one then? I really like my donut bed. My parents bought it for me when I was just a puppy. It’s very comfortable and I can snuggle up in it and sleep…and you already know how much I love sleep. 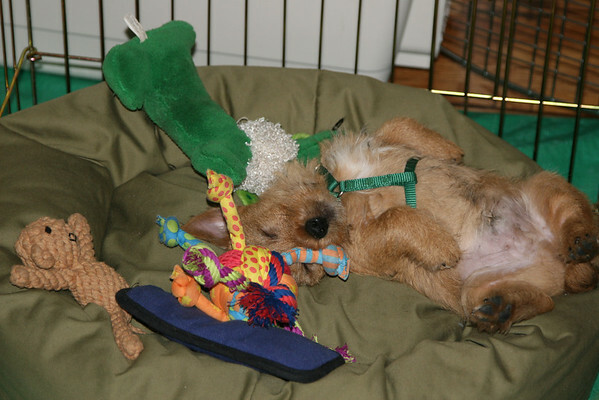 Of course when I was a puppy, I was able to sleep with my toys. Now there’s only space for me! Can’t my bed just be a little bit bigger? Sleep is good. Really good. I like sleep, sleep is good. I spend most of my day sleeping, and I sleep all night. This is one of my favorite places to sleep, curled up on my dad’s lap and using his arm for a pillow while he works on his computer. I don’t understand why he has to keep moving his arm though–doesn’t he understand that it’s just where I want it? Hi everyone! 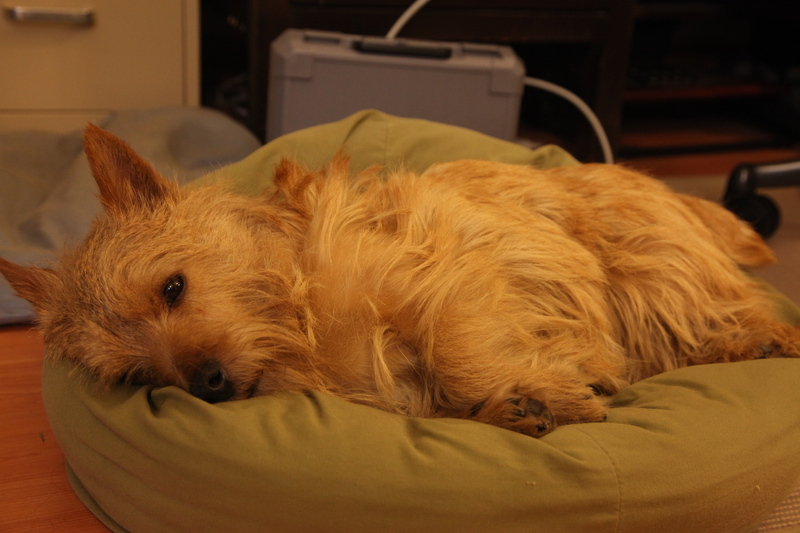 My name is Mochi and I am a super cute Norwich Terrier. 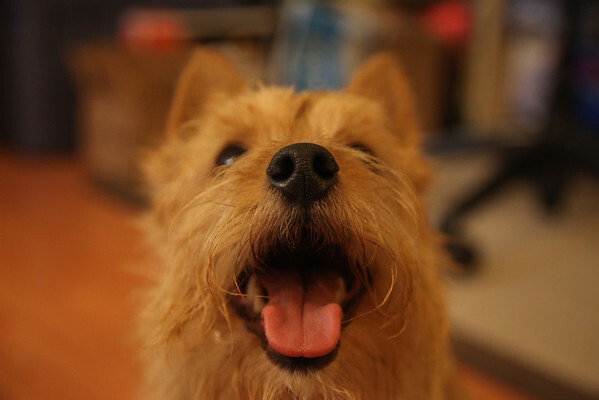 My mommy *finally* started a blog for me to post some photos, so please enjoy. 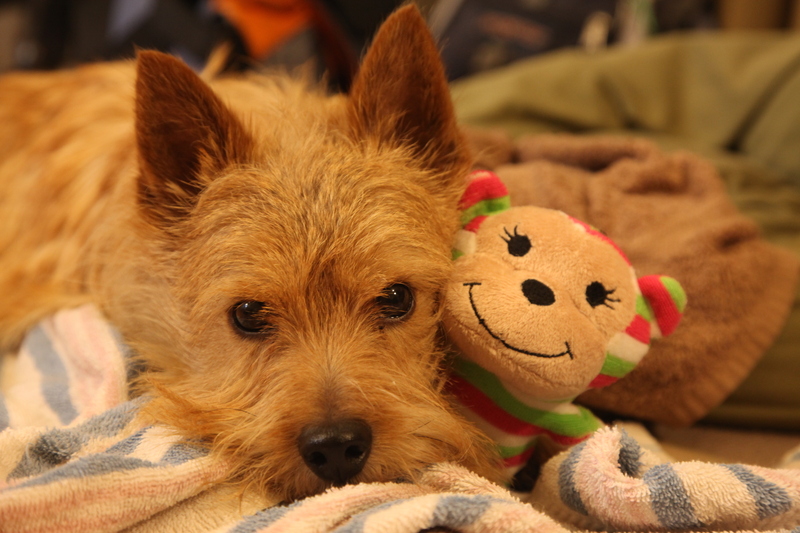 Here is one from today where I am resting with my new rainbow monkey toy that my grandparents gave to me for my birthday. He and I were wrestling but then I got tired and needed to rest.